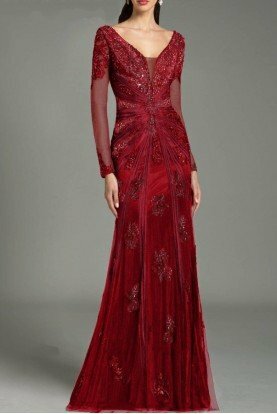 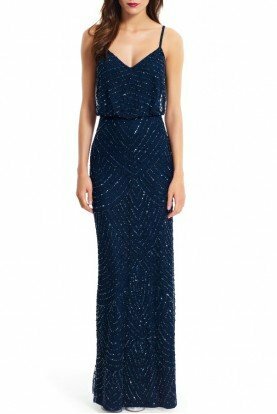 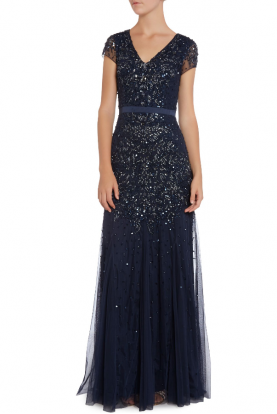 Mermaid Flourish Scrolling Evening Gown by Colors Dress Feel fancy in this dazzling evening gown from Colors Dress. 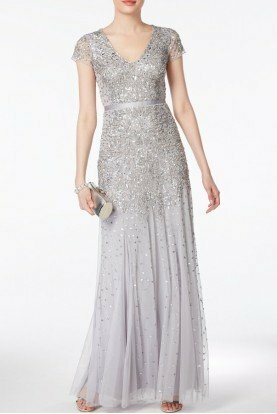 The jewel neckline bodice has thick straps and is edged in glittering embellished ribbons creating a chic and flattering effect. 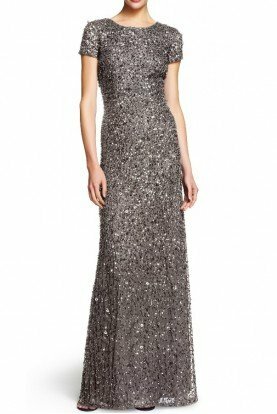 Sparkling sequined adornments and lavish scrolling details add flair as this fabulous ensemble slides to the full-length mermaid silhouette hem in rich layers.